Often a home networks’ weakest link is the router/switch associated with the connection. In the world of gaming and media this can often mean poor pings and bad movie streaming. With this in mind, technology made a jump to Wireless N giving the user the option of gaming and streaming movies over wireless. But networks still lacked the ability to incorporate a switch into the mix. Having a hub meant packet loss and collision leading to poor performance. Switches are a better solution but seldom seen with decent wireless capabilities. 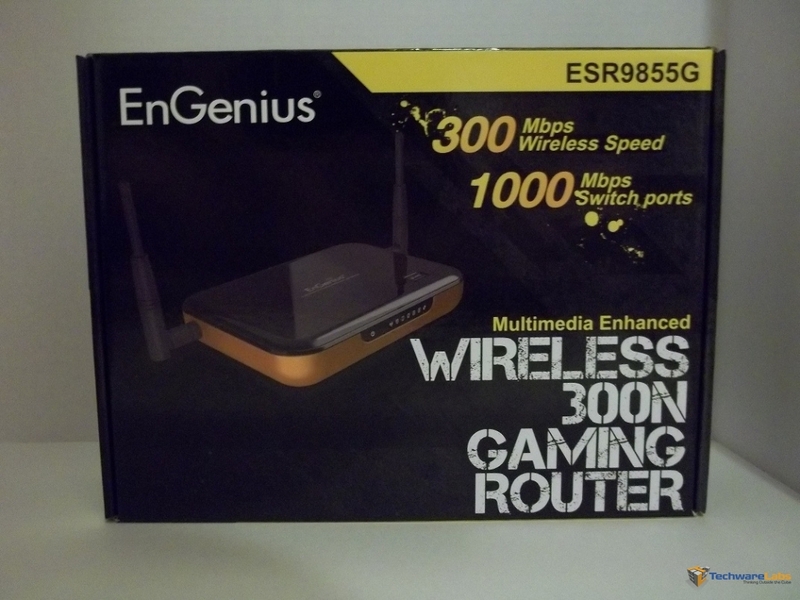 EnGenius has answered the call of media enthusiasts and gamers alike with the Wireless 300N Gaming Router (ESR9855G). With 300Mbps (37.5 MBps) wireless and 1000Mbps (125 MBps) wired speeds this router is aimed at gaming and HD streaming. Lets take a dive and take a look if this router a step above the rest.